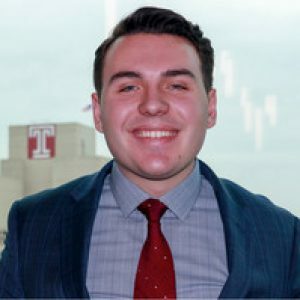 My name is Matt Mulrenan and I am a sophomore at Temple University studying Management Information Systems. I am originally from Brielle NJ, which is by the beach, near Point Pleasant and Asbury Park. Outside of class, I play intramural basketball and softball, and I am the Vice President of the Professional Sales Organization. I enjoy talking to people and the process of setting and achieving goals, so I want to be in sales after I graduate. Last semester I interned at the U.S. Securities and Exchange Commission and I currently intern for the Online MBA program at the Fox School of Business this summer I will be interning at IBM.